This client needed a total brand overhaul in order to present themselves as an industry-leading ecommerce platform. They wanted to incorporate stylistic elements from their parent company (Digital River) while still remaining distinct, modern, and welcoming. As the lead design resource on this project, I was tasked with creating a brand new website for MyCommerce that reflected the brand's personality across devices without sacrificing functionality. This site is live, and can be viewed here. Working on this project meant combining branding, UX, and design skills in a way that made the content on MyCommerce's site easy to access, beautiful to look at, and reminiscent of the parent company's own branding. User ease was paramount and it took several iterations before we were happy with the information architecture. 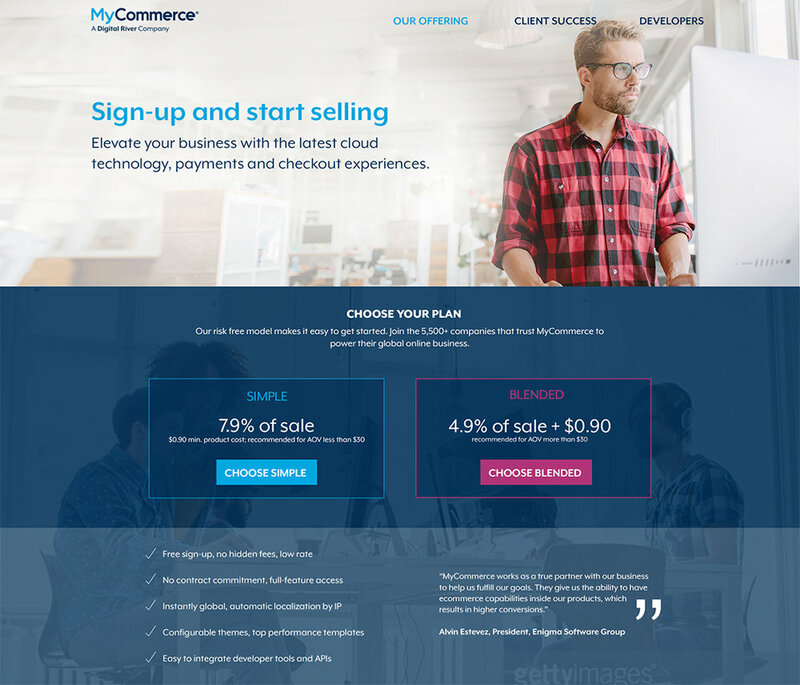 "I have Maddie to thank for her superb design work on the new MyCommerce.com site and making all of our new go-to-market materials look so modern, global and on-brand. I love working with her and value her contribution to our marketing efforts."